A couple of weeks ago I attended a study day led by Dr Parimal Patel about oral surgery, where we got to practice minor oral surgery and suture techniques on pig's heads (gross I know). Here I will summarise the main learning points from the day. When encountering extractions in practice, general practitioners should be able to deal with most situations, but assessment is key! 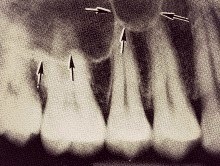 When it comes to lower wisdom tooth impactions, mesio-angular impactions tend to look more difficult radiographically (on DPTs), and disto-angular impactions look easier than they turn out to be! There are some assessment scales out there to help categorise difficulty of the impaction for example Pell and Gregory. There is thought to be a 10% incidence of OAC in upper molars, with 0.5% of oro-antral fistulas (OAF). OAFs are epithelialised OACs and are more difficult to treat than OACs. If you think you have perforated the antrum, if you see is a dark grey lining evident that moves in a out as the patient breathes, you haven't, you can just see the lining! Patients may be taking these to manage disorders such as rheumatoid arthritis, but these will mostly be oral preparations. Evidence shows that IV bisphosphonates pose the most risk for osteonecrosis. Some patients who present with a history or are currently on courses of chemotherapy for some cancers are often being or have been treated with IV bisphosphonates. Guidelines recommend that these patients be referred to a secondary setting for extractions and may need antibiotic cover e.g. metronidazole for 3 days prior to the extraction. An anticoagulant taken for many conditions to help thing a patient's blood. The measure of its effect on a patient is measured with the International Normalised Ratio (INR). The target INR should be between 2 and 4, anything above 4 you would not attempt an extraction in primary care without liaising with their GMP. INR should be taken at most 3 days before the extraction and if it fluctuates a lot, the INR should be taken on the day. You should also treat these patients as early on in the day as possible so that you don't disturb their medication regime (similar to how you would manage diabetics). Forced orthodontic extrusion in order to create soft tissue/bone? A lot of patients I see in practice ask about implants and consider having them to replace teeth, so minimising trauma and loss of the bone or soft tissue structure during extractions is something I try my best at, even though I've been experiencing some really difficult cases at the moment such as fractured roots which are root filled which had a previously were post crowned. My heart used to sink whenever this type of patient presented to me, as I knew getting that tooth out would be difficult. But the tips I learnt from this day have helped to build up my confidence and in the end, it is ok to refer these sort of cases if you cannot do them yourself and you have properly assessed them. And nowadays with the increasing threat of litigation, it is important, as the GDC would say, to work within your remit skill set. Please see a previous post about ridge preservation for implants here. 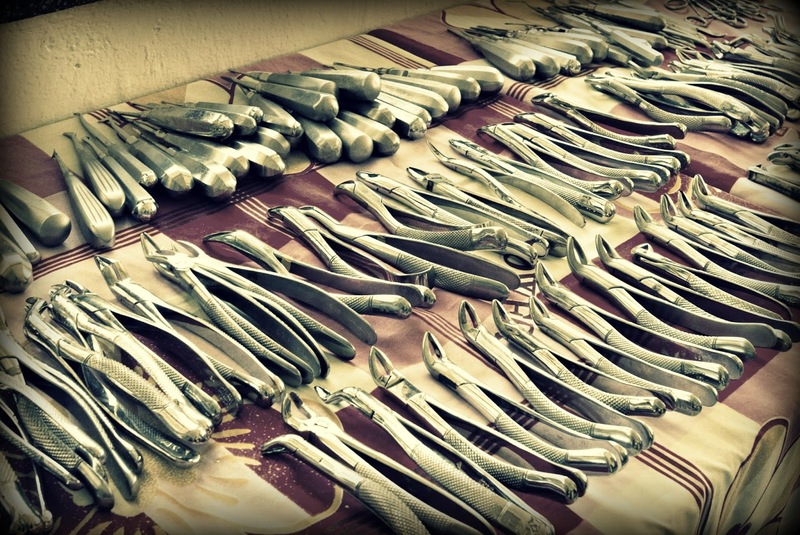 Have you had some difficult extraction cases? Please leave your experiences and any other tips for young dentists in the comment section below!